1. HIGH QUALITY - Size: 100 x 200cm/39" x 79"(W*H). The string curtain is made from polyester fiber. It also could be a good friend to make you feel more comfortable in your home as a divider, perfect for any style. 2. APPLICATION - It can be used for door, window, wall, Christmas, photo booth, party, wedding, living room to make the space romantic and comfortable. 3. DECORATION - It would become a beautiful picture in your house. 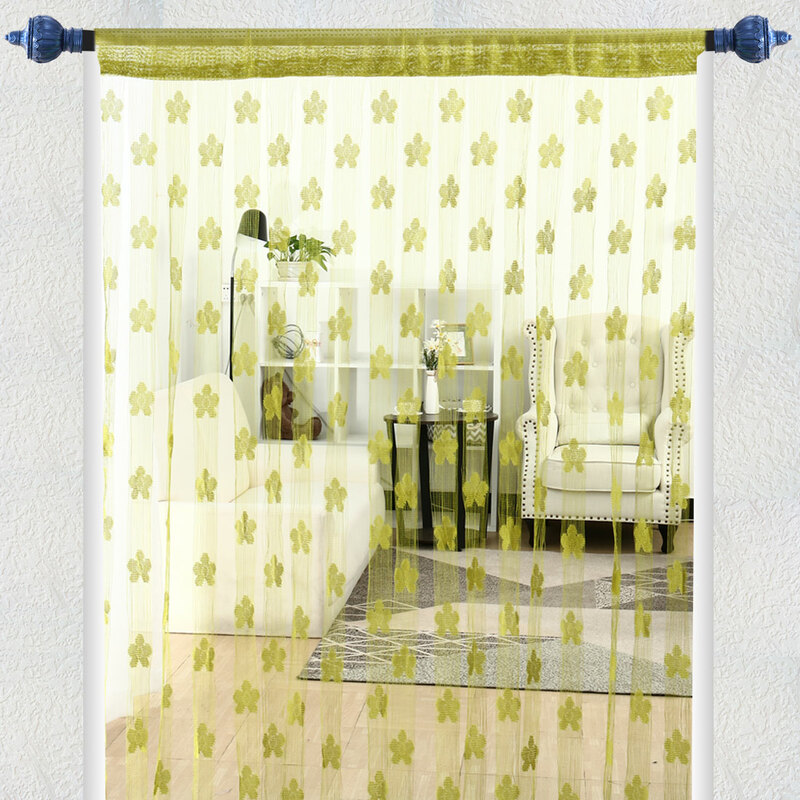 This decorative string curtains would make you feel more relaxed in any environment. 4. USEFUL - It can partition the space, provide a personal private and comfortable space when you work or rest. 5. WASH - Please use a washing bag to prevent tangles during the wash and make it possible to be hung up straight. 6. EASY TO USE - Cut the string curtain as your demand. Length can be cut according to the actual size, make the room look more beautiful. 7. WONDERFUL GIFT - It could be used as a wonderful gift for your friend or someone you love on special days to make her/his life more relaxed. 8. MORE RELAXED - This string curtain lets the light come in softly while still keep your privacy. The picture caused by soft sunlight and string curtains is very beautiful in your room. 1. Variability of 1-3 cm is possible due to the measurement process.